Yoga Synergy offers private one-to-one yoga sessions with tailored programmes suitable for both beginners and experienced yogis alike. Daily sessions are customised to your individual skill level and goals, and include instruction in asana (physical posture), pranayama (breathing) and meditation. 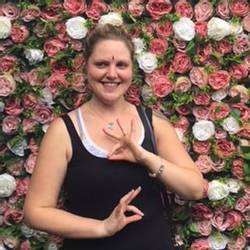 This personal yoga and wellness retreat will allow you to fulfil a range of goals, such as addressing physical limitations, deepening existing practise or developing a regular home practise for beginners. As well as daily yoga sessions this programme also includes Ayurveda therapies from experienced Indian therapists. 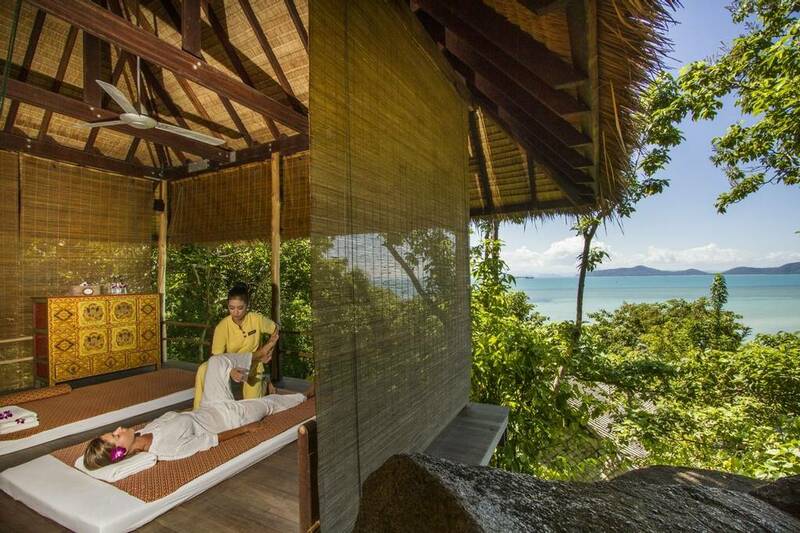 Kamalaya is an award-winning luxury wellness and holistic spa resort located on the south coast of Koh Samui. Surrounded by lush vegetation set on a private beach, it is the perfect holiday destination for those looking to pamper themselves. With a variety of spa treatments and yoga sessions on offer, stay at this beautiful resort to improve your health and well-being. 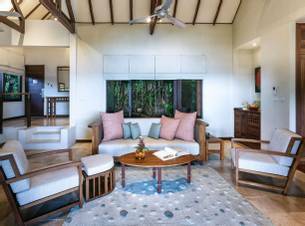 Close to the main faciliites, their menu has something to suit everyone including vegetarian dishes, fresh fish, poultry and lamb dishes, selected wines and desserts and customised dishes for those with dietary requirements or those on a Kamalaya detox programme. Sanskrit for 'divine nectar', Amrita Café offers informal dining nestled amidst lotus ponds adjacent the swimming pools. A perfect lunch spot, you can find fresh juices, inspired salads and vegetarian dishes as well as grilled fish, poultry, meats and vegetables. There is also the detox menu for you to choose from. 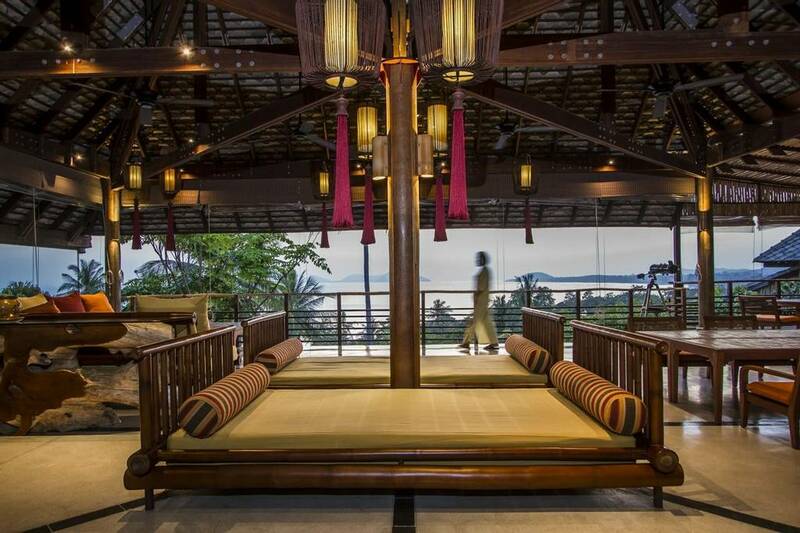 Overlooking the coastline, you can find savouring appetisers, desserts, juices and a wide range of teas, wines and elixirs based on Taoist and Thai herbal blends. 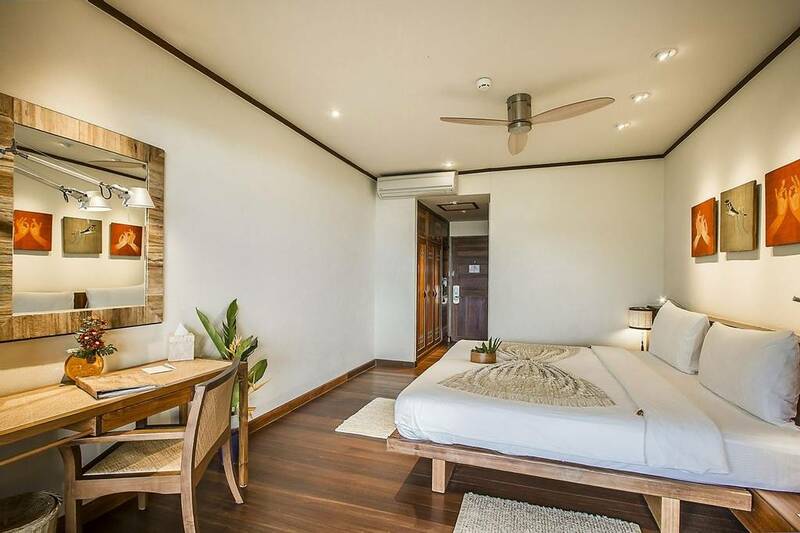 The resort is located on the south of the Koh Samui island and the most common route for getting to the island is via a connecting flight from Bangkok's international airport. 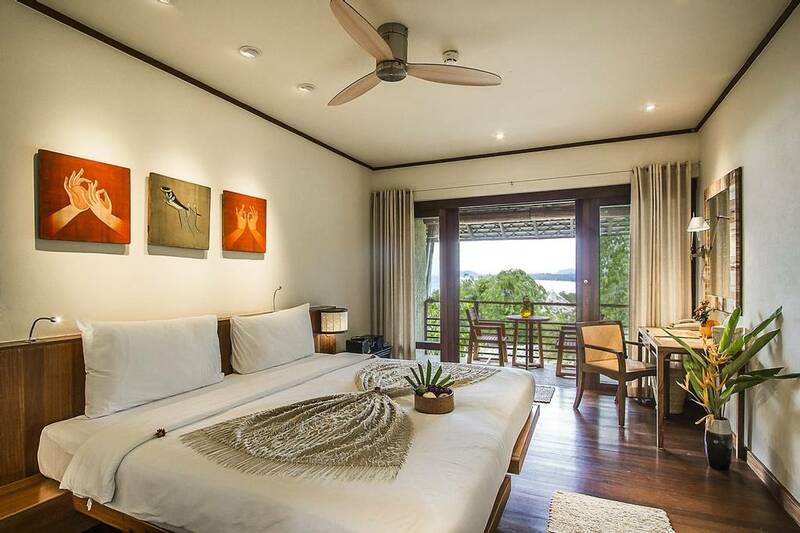 Kamalaya is then a short 30-40 minute taxi from Koh Samui's small and friendly airport. Guests will receive one hour complimentary Wi-Fi access on arrival and additional time can be purchased. Complimentary 24-hour Internet access is available at the library, where guests are welcome to use the communal computers. 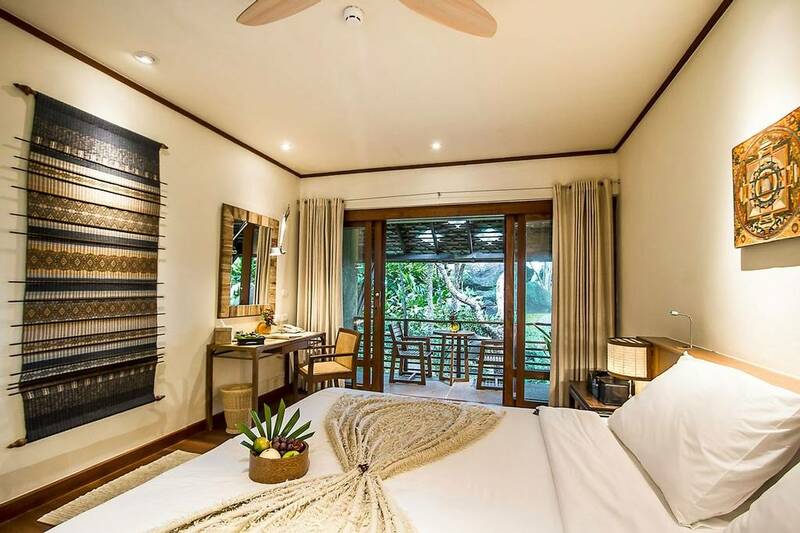 Kamalaya is a place to reconnect with oneself and spend time away from busy lifestyles - we recommend embracing the benefits of minimum internet usage during your stay. 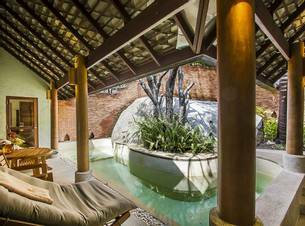 Kamalaya's Spa combines their authentic ancient healing traditions with the different therapies and facilities on offer to help you relax and release stress. 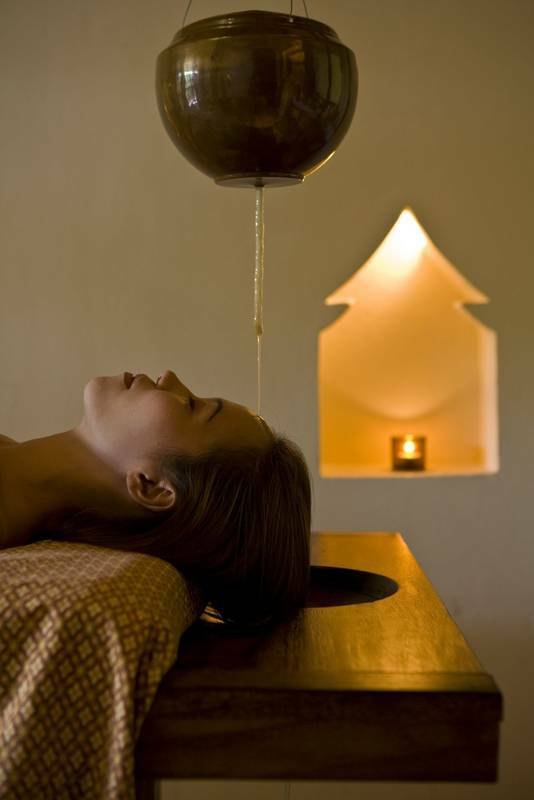 The spa offers over 70 therapies, integrating holistic medicine from East and West. 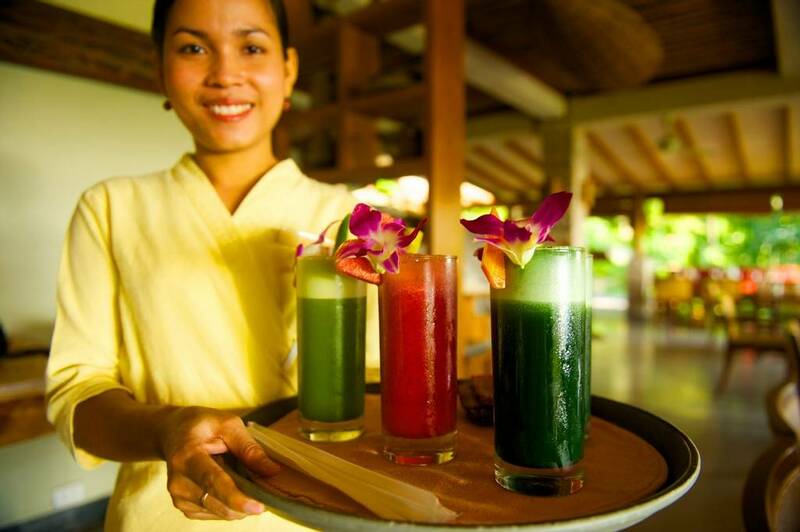 Kamalaya's wellness approach is focusing on detox and cleansing programmes and yoga sessions to promote a healthy lifestyle. 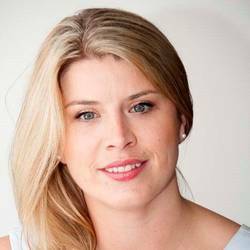 They offer introductory detox sessions for beginners or a comprehensive detox for those more experienced. 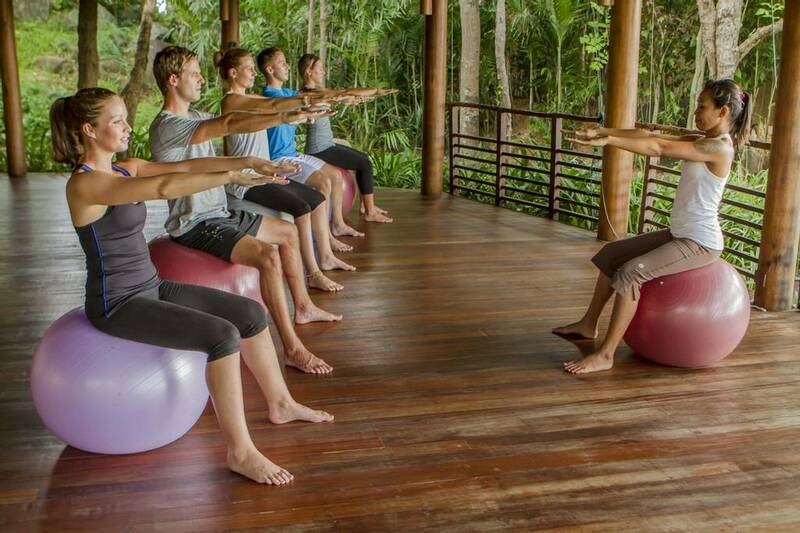 Kamalaya also have yoga retreats which allow you to practise a range of different yoga styles that support weight loss and a healthy well-being. 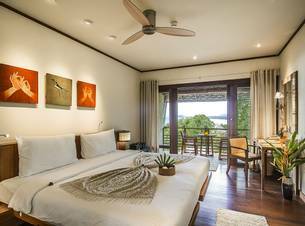 Blending beautifully into the scenery, the luxuriously appointed rooms at Kamalaya are perfect for a relaxing wellness getaway. 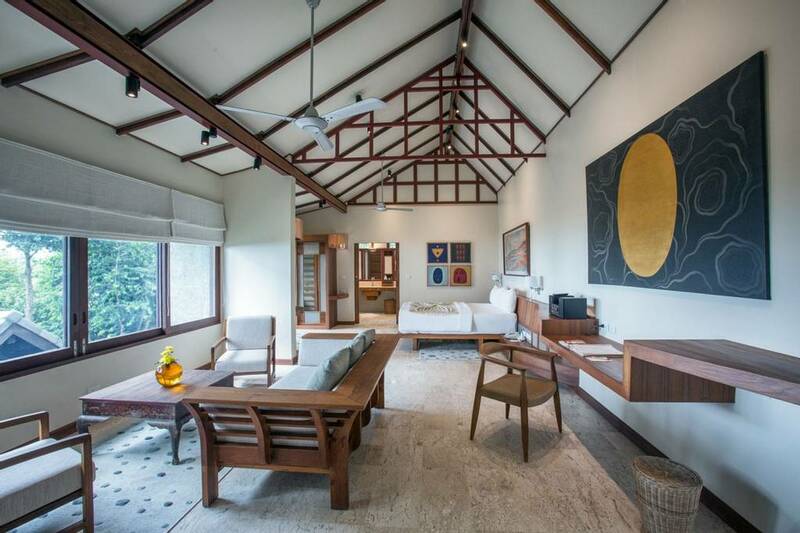 All rooms feature a minimalist décor throughout and an understated, natural colour scheme throughout. 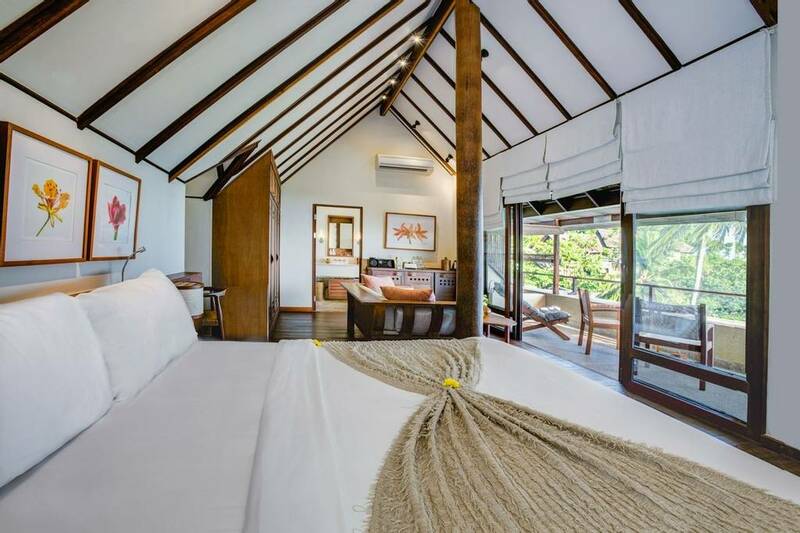 These are cosy retreats simply designed and accented with natural furnishings. 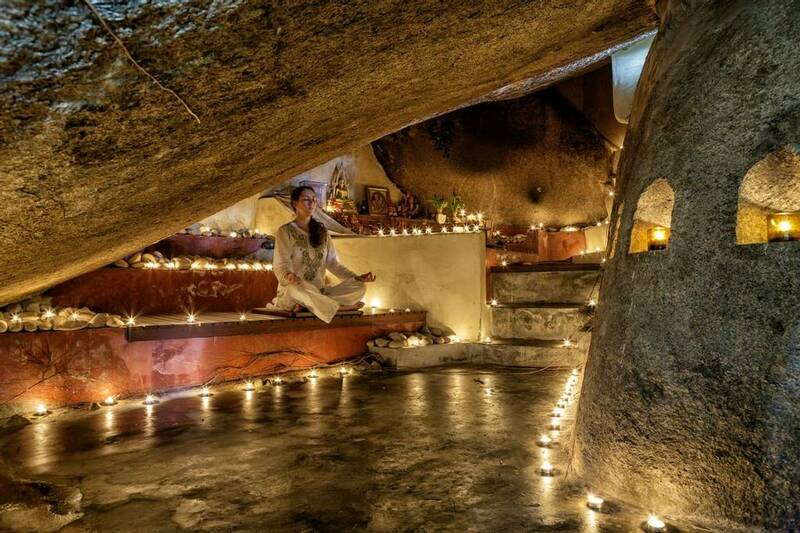 Nestled amidst magnificent boulders and trees, these rooms are minutes away from the hilltop Yoga Pavilion and Yantra Hall. 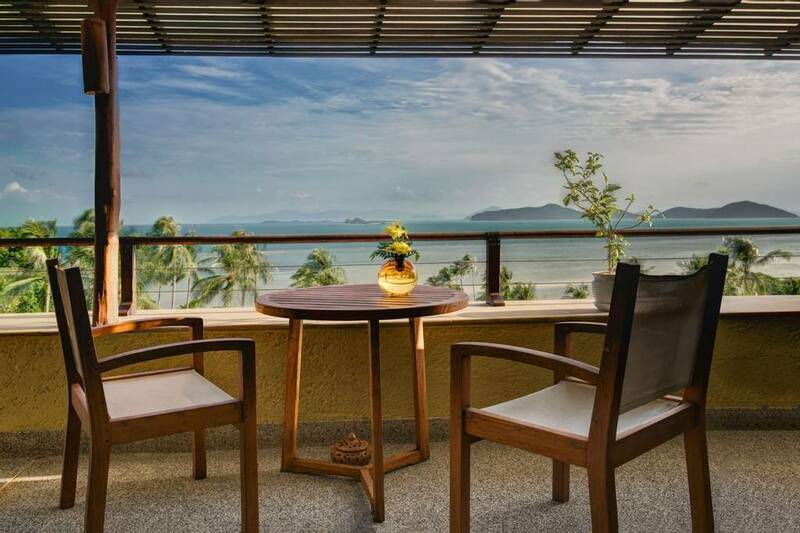 Koh Samui's seascape flows into these suites designed to embrace the coastal view. 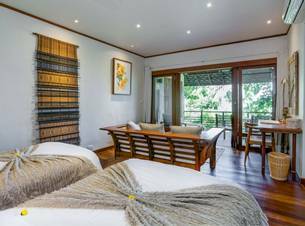 Simple, stylish design and comfortable furnishings allow for nature's tranquillity to permeate your personal resort accommodation. 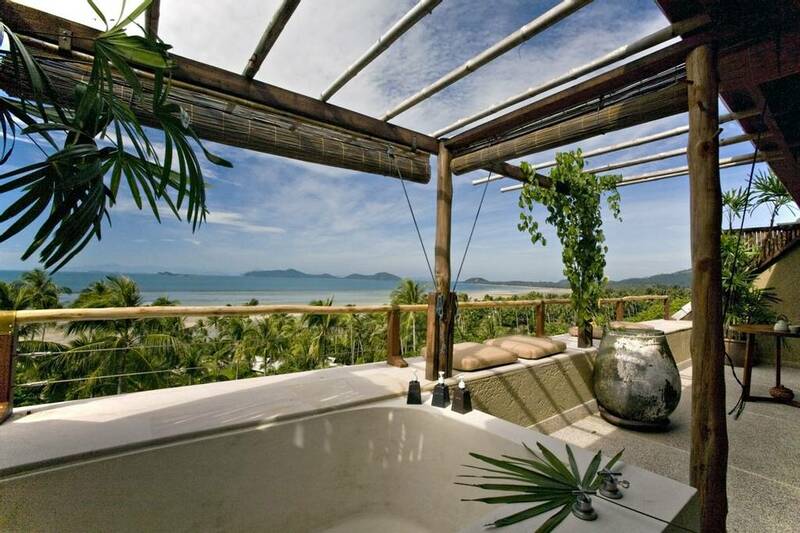 Bathe under a canopy of stars on your private balcony. 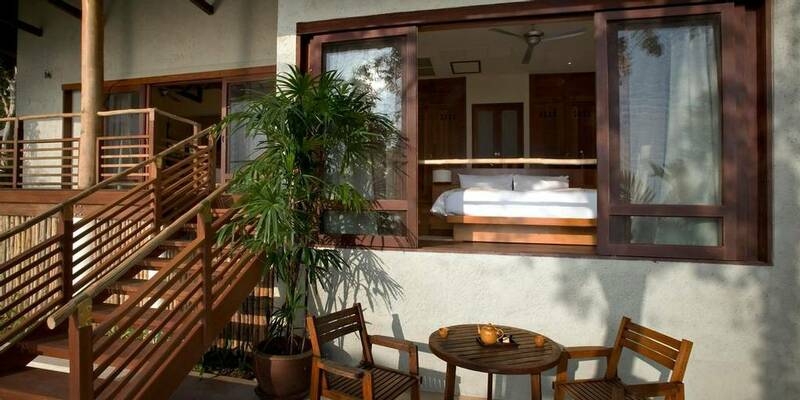 Situated at the top of the resort, close to Soma Restaurant and Alchemy Tea Lounge. 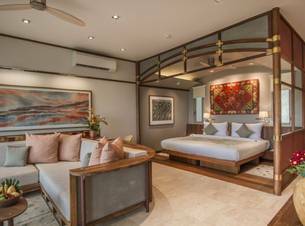 Set across three level upon the hillside, the newest rooms at Kamalaya, built in 2015 the Superior Suites offer spacious accommodation with large balconies overlooking the sea. 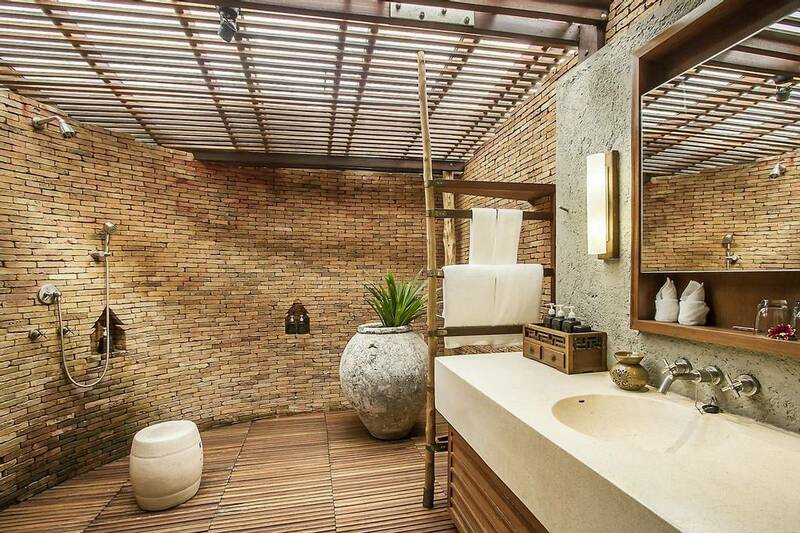 Ground floor Suites have indoor bathrooms, those on the 2nd and 3rd floors have indoor bathrooms with outdoor showers. 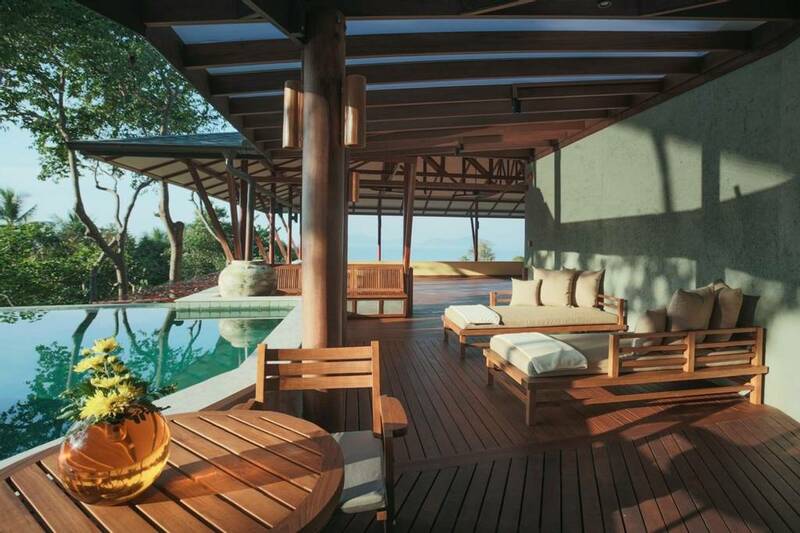 Built on Kamalaya's secluded beach, these villas put you in close proximity to the sea. 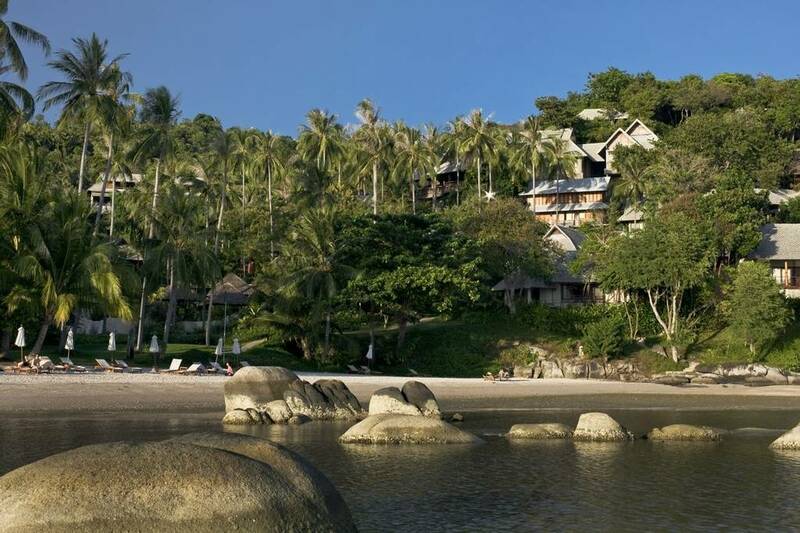 Nestled atop granite boulders, by day you can relax on your covered balcony overlooking Kamalaya's secluded private beach and by night you can fall asleep to the sound of gentle waves. 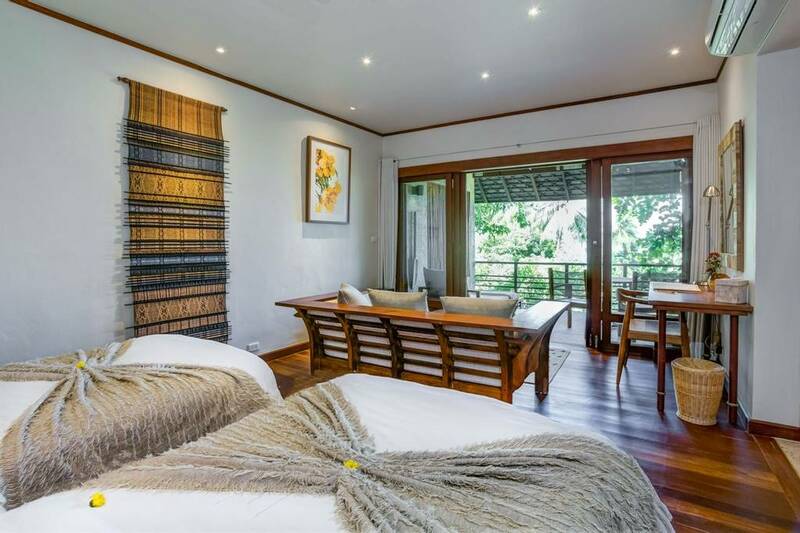 Best for families this accommodation embraces nature on two levels, with a natural rock wall, wooden pillars and lofty ceiling, twin and double bedrooms with en-suite bathrooms, and open living space. 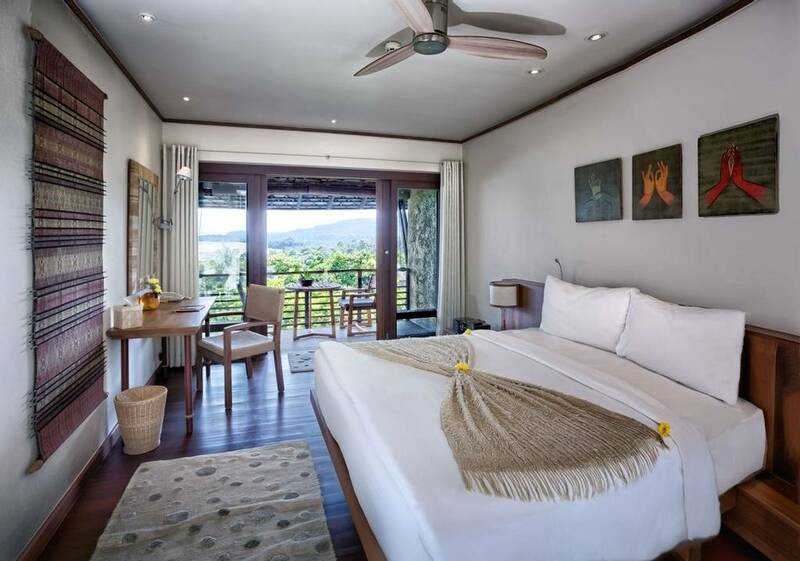 Perched above Samui's coastline, it offers nature views of boulders, trees and sea. 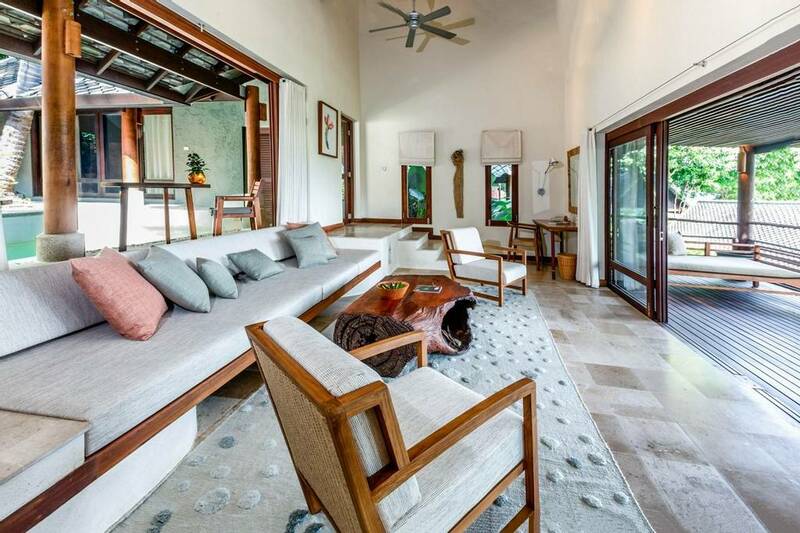 This secluded private villa is nestled amid the trees, overlooking the Kamalaya beach. 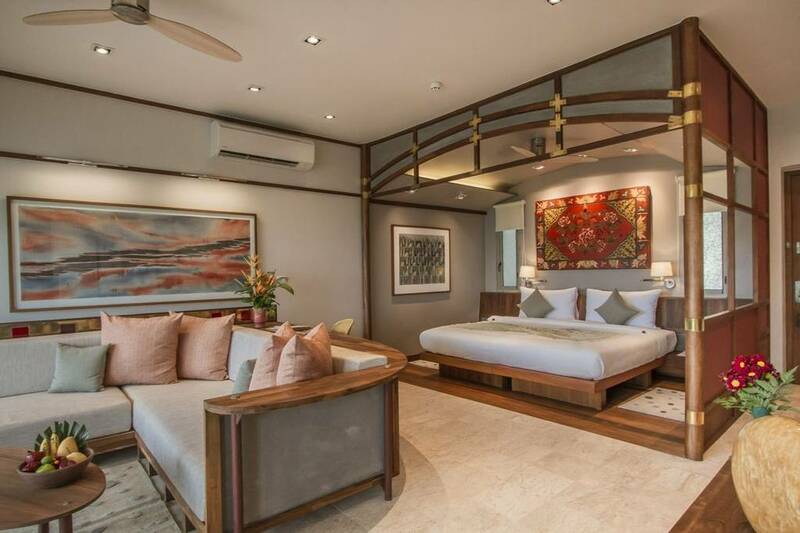 With two private bedrooms, both with ensuite, and a private pool that overlooks the ocean, it is an ideal choice when you're travelling with family or friends. 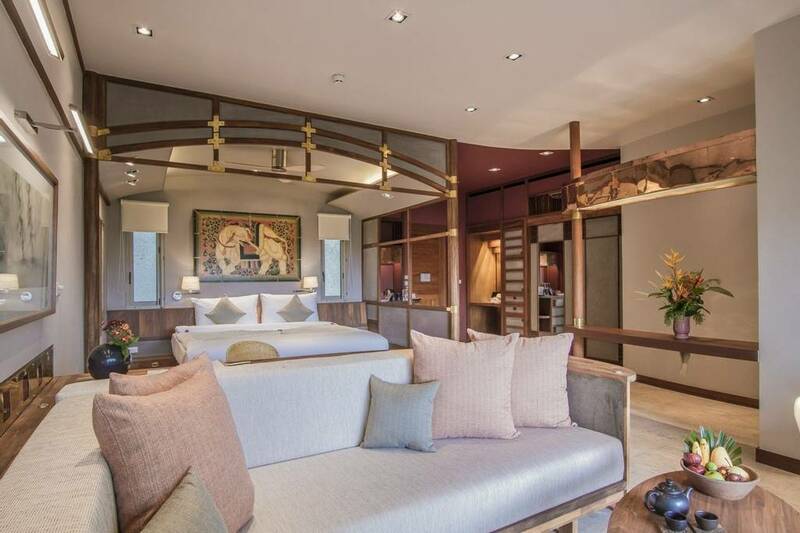 Bonus one free night for any return visit of 7 nights or more on room rates for stays between 25 February to 20 December 2019 & 25 February - 31 March 2020. Honeymoon and Anniversary must be clearly specified upon booking reservation made and printed on the voucher to validate the correct offer. Having heard so many glowing reviews about Kamalaya, I was very excited to experience it myself and understand what makes it such a special place with such a high rate of repeat guests. From the beautiful location to the nurturing spa treatments and nourishing food, it’s impossible to visit Kamalaya and not feel instantly better in yourself. Kamalaya was absolutely first class and inspirational from start to finish. I couldn't have been happier with my choice of holiday. Health and Fitness Travel made the perfect recommendation and booked everything for me. 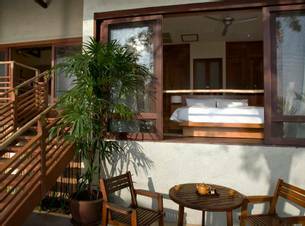 The overall level of care in resort is faultless and everything is geared to making solo guests feel at ease. I cannot wait to return next year. It was a life changing experience for me. 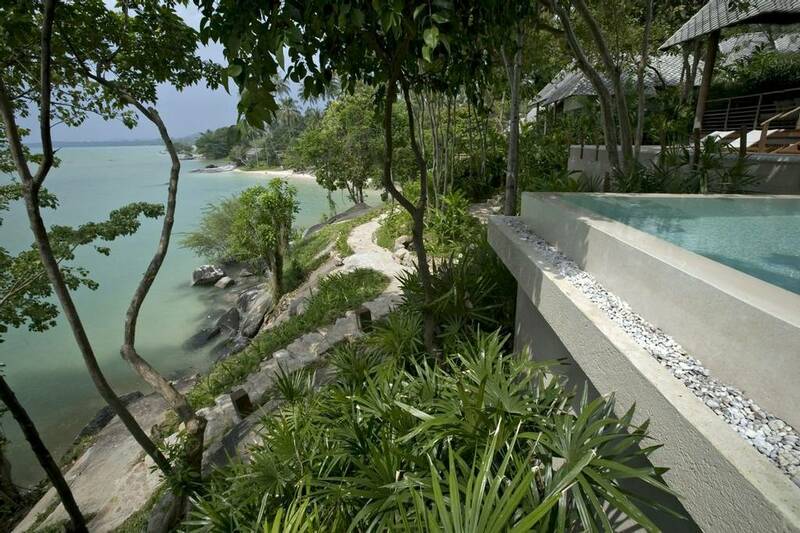 The best way to describe Kamalaya is a real private haven, an escape, a sanctuary of peace and calm. The team at the Spa is just amazing and is always ready to move appointments to help guests go with their own flow. Personal training sessions were great because the teachers really listen to what you like to do and tailor all to your level. I traveled by myself and felt that I could socialise with others but I preferred to focus more on myself and spend some precious time in silence. The mental benefits of switching off and being able to focus on just me and my wellbeing was priceless! Fantastic, very specialised and detailed resort. Also received superb spiritual guidance. I enjoyed EVERYTHING! It is an incredible investment and worth every penny, as it brings deep benefits to body, mind and soul. 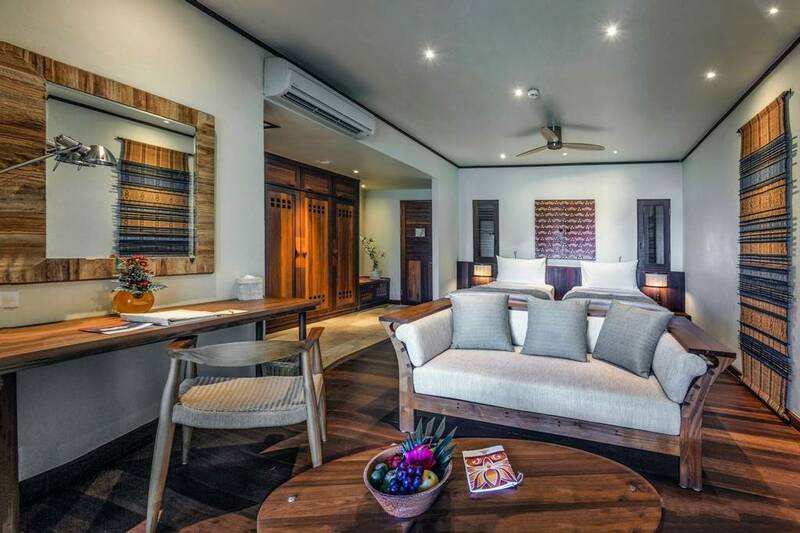 Kamalaya is a gem! I had a wonderful time there, but would also like to say a little more about Health and Fitness Travel: you guys are fantastic. 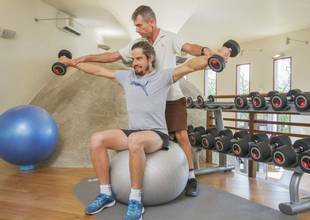 At the time of enquiring about Health and Fitness Travel's services and packages, and the booking the holiday, I was under a lot of stress and change. Everyone was incredibly empathetic, understanding and make the entire process completely hassle-free. You went above and beyond and I appreciate your friendly, non-pushy approach. When I had to alter a few things around (dates/timings) due to other commitments clashes, you really took the time to understand what needed and delivered great service. Just fantastic. Please continue what you're doing: a non-aggressive sales approach and patience goes a long, long way. It's not often you deal with such switched on, genuine good professionals. An absolutely extraordinary experience! From arrival till departure I was treated like a queen. 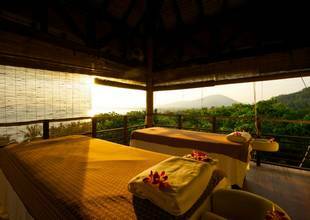 The hotel staff are exceptional and the spa treatments and program classes are excellent. I truly had the most relaxed experience. I came back rejuvenated and refreshed. Overall a six-star experience. If you ask me if there were any aspects which could be improved, I would categorically say ‘absolutely nothing’. Ah, and the communal table is a social event at night! Service in Kamalaya is second to none. There’s nothing that the staff won't do to make your stay more enjoyable. The Fusion Fitness programme, in particular, was well put together with great variety and tailored to my own needs and goals. It was challenging and rewarding. 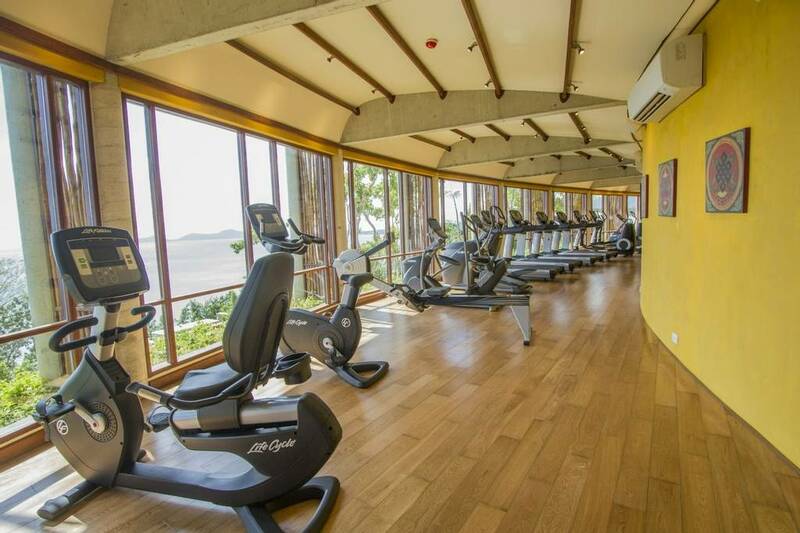 Excellent fitness classes especially the Thai boxing and Yoga. It was my secont time at Kamalaya and I’ll return this year! Simply amazing! Best holiday I’ve ever had (and I have extensively travelled the world over the past 20 years). 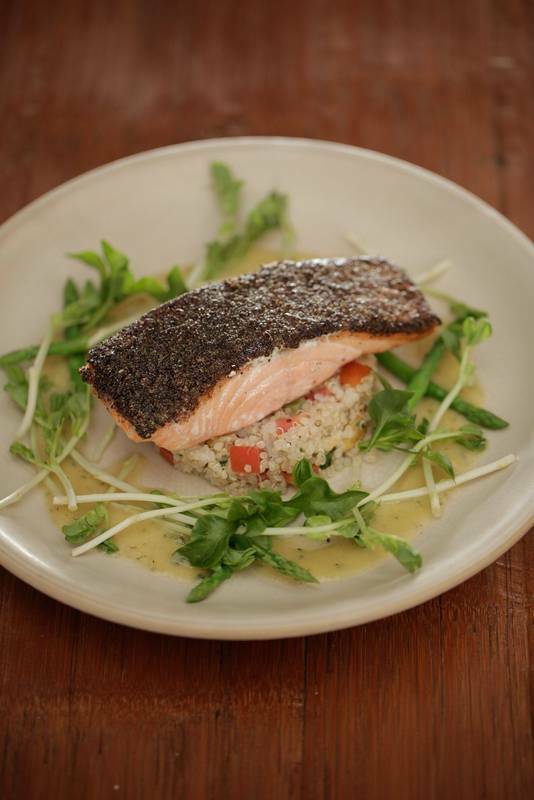 Food: Given the task of preparing a varied menu of healthy and detox dishes, free from salt and almost entirely vegetarian, the head chef really does an excellent job. The range is extensive, and of a high quality, such that even after 14 days of stay the possibility of different dishes every day without boredom was incredible! Breakfast is also great, outstanding choices, with great fresh juices and small ‘shots’ of wheatgrass and other superfoods. The freshly made juices and non-alcoholic cocktails (notable Mojito and Green Bull) were outstanding. Staff: Without exception, every single member of staff working there, and it must be 100’s, was delightful, respectful and helpful. Everybody is synchronized to make your stay a real pleasure and all geared up to helping you achieve your goals. Outstanding at all levels. 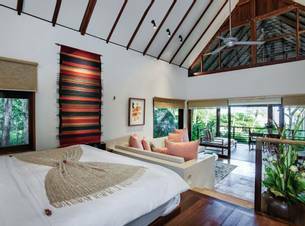 Overall layout: Remarkable property and architecture, which blends the whole experience into the natural topography and tropical environment. Everyone gets a view and sitting on the balcony effectively in the canopy of a rain forest is a wonderfully calming experience. 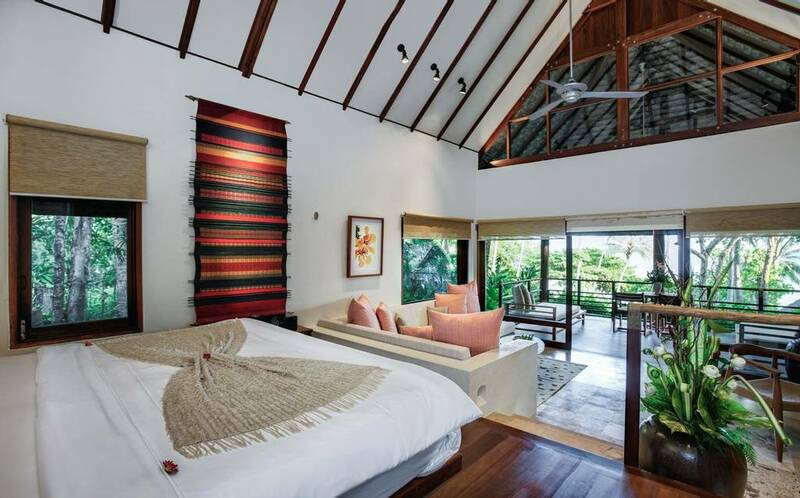 Suites and Villas: The rooms are simple, but well thought out, with all necessary amenities. I recommend booking room 33. Treatments: The entire team is nothing short of outstanding; every single person was doing their best to make us all relaxed. All very professional – very unique experiences. Grounds: Immaculately maintained and great to see so much wildlife and running water. 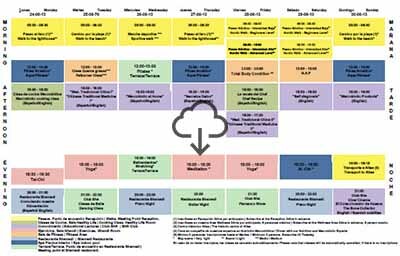 Activities: Wonderful range of free activities to involve yourself in between package treatments or therapies. Very useful having a weekly bulletin and an evening reminder of what is on the next day. Overall: A unique and nurturing experience that exceeded expectations and achieved many of my (many) goals. 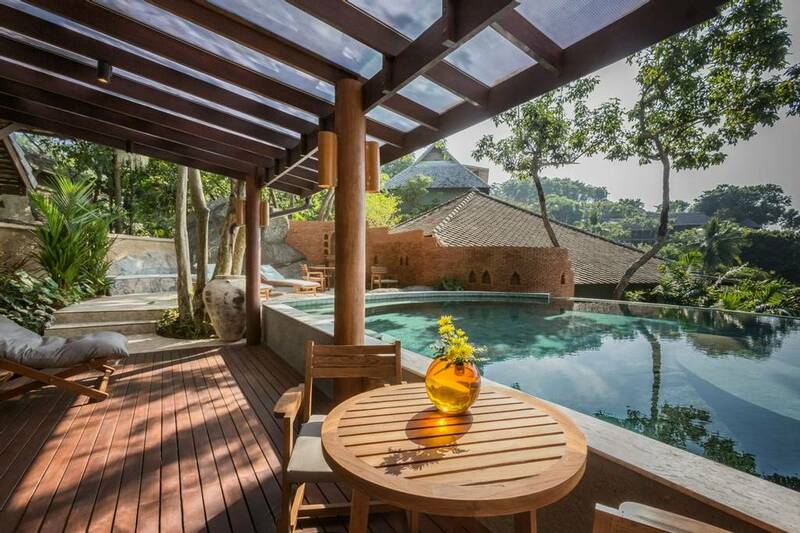 An aura of peace, calm, tranquillity and wellness pervades the property. Would I go back? My bags are packed ready! The service and food were the highlights of my week at Kamalaya. Members of staff are very professional and caring at the same time. World class service. 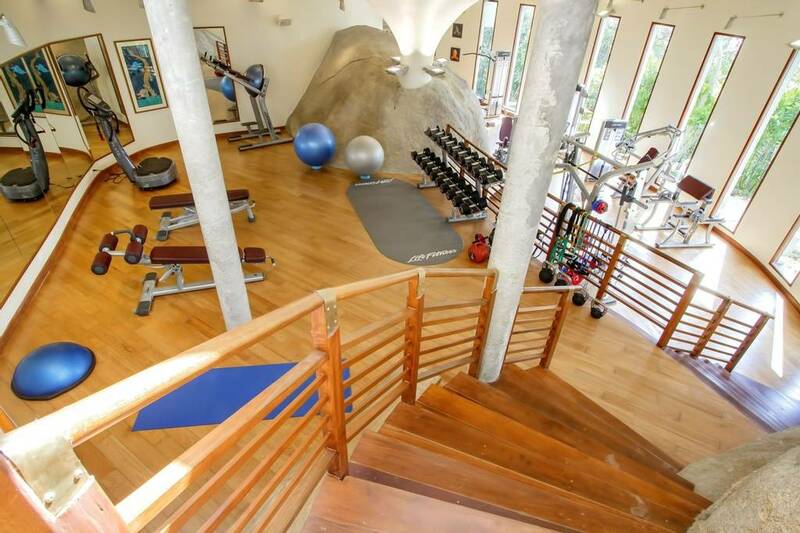 Facilities were also high quality and everything is conveniently located. 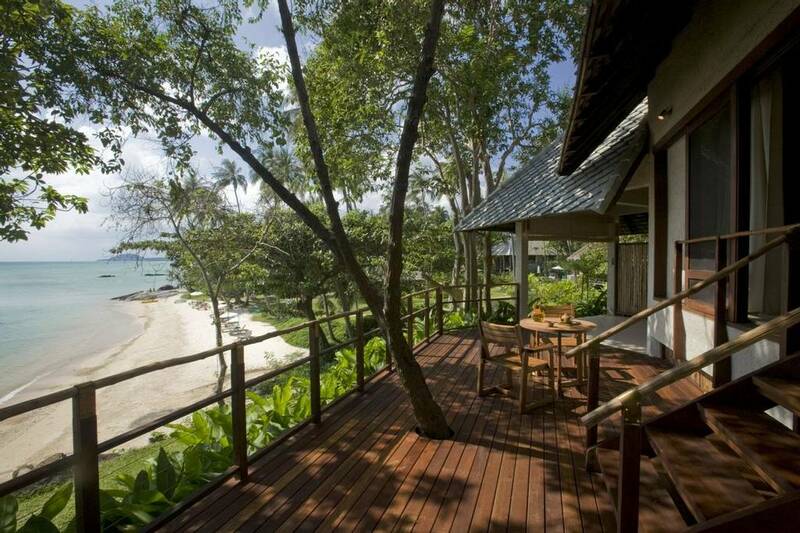 My advice if you are looking to go: fully lend yourself into the Kamalaya way, it will be very rewarding at the end! 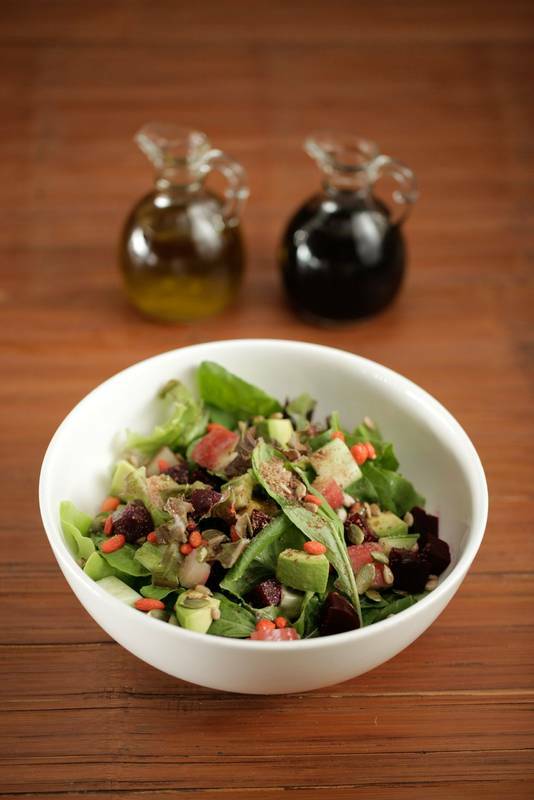 Be adventurous and order from the detox menu. Enjoy the wonders of digital detox. And book with Health and Fitness Travel as they are great at organising it all for you and have the lowest price. Definitely a trip to remember! The most amazing, positively life-changing experience I have encountered. 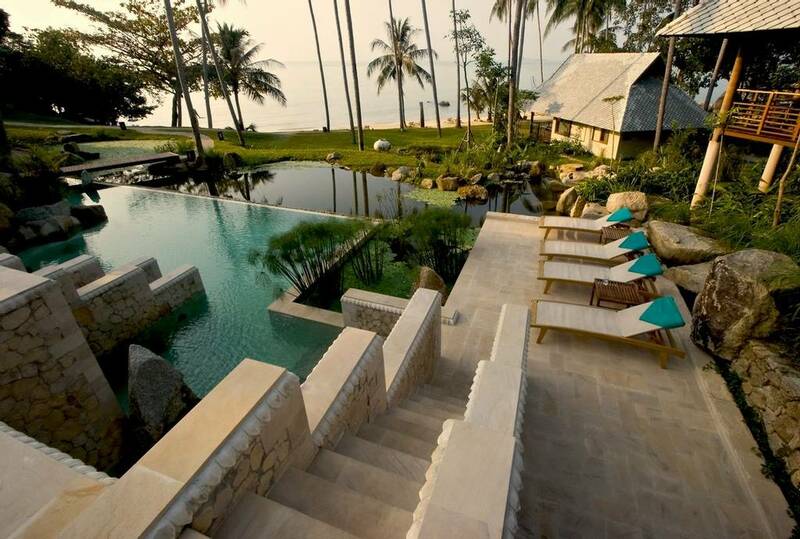 Staying at Kamalaya was the most amazing, positively life-changing experience I have encountered. I highly recommend paying a visit to this mind-blowing retreat, it was truly transformative and I’m now planning an annual visit, at least. Treatments are second to none and the environment, staff, food, communal table and everything else is just perfect, not to mention the weather which is amazing all year round. I have no words to describe how skilled and knowledgeable the wellness team is and nothing was a problem for them – I requested to change my schedule a couple of times and they were extremely helful. 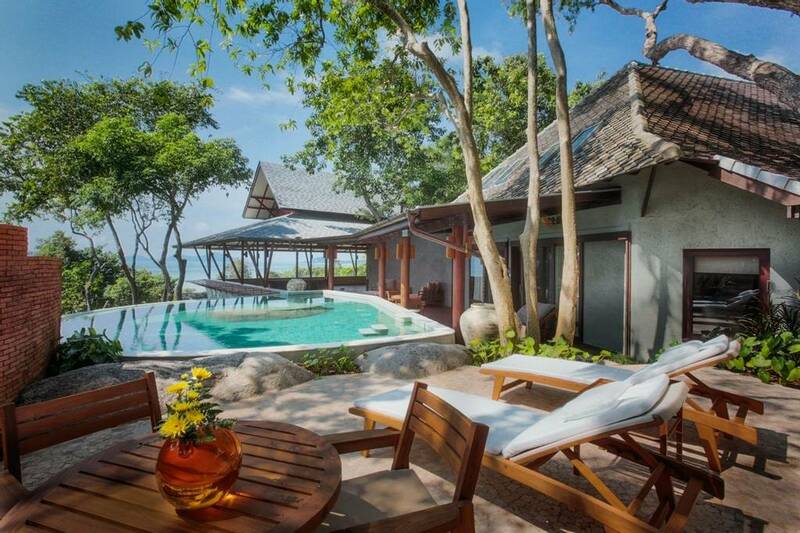 Kamalaya is a dream! It totally exceeded my expectations! Almost every day I rescheduled my treatments and they were so accommodating. The food really astounded me in terms of quality and choice, the freshness and variety were abundant! Excellent value when you choose a wellness plan as there is no real need to add any extra costs. I cannot wait to go back and next time will stay at least 10 nights. This is 100% the best place to recharge oneself with goodness! My advice to other travellers is: don’t pack too many clothes, you won’t need them. Just comfortable exercising gear and swimsuits. Amazing holiday! I recommend taking a 7 day programme over 10 days’ timeframe, to allow for more flexibility in appointments and other activities, as there is so much to do! 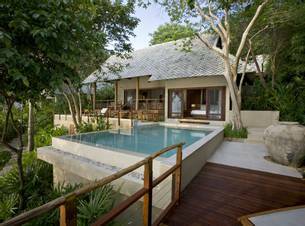 Great experience, Health and Fitness Travel is very helpful and recommended Kamalaya based on my requirements. Perfect match! Kamalaya truly exceeded my expectations! The service from all staff was exceptional! 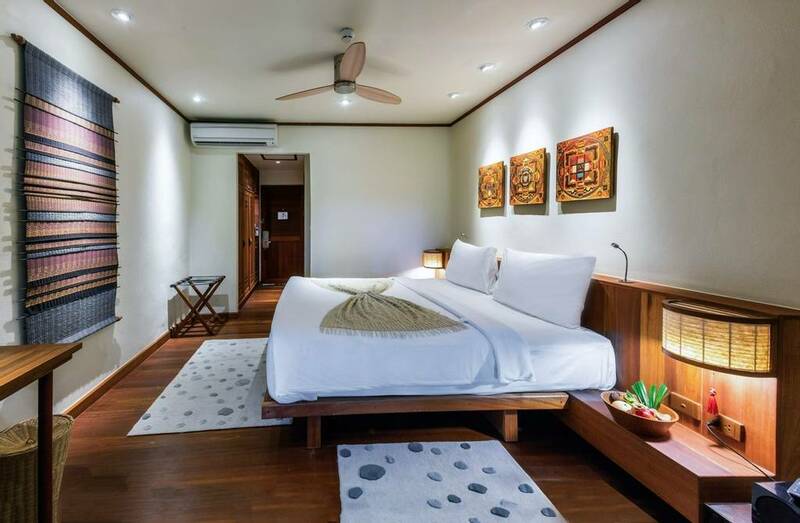 I booked an entry level room type and it was very comfortable – frankly, I barely spent anytime inside, as the resort has so many places to explore and relax (by the pool, on the beach or my favourite: by the loungers next to the plunge pools by the infra-red saunas. My room had fresh ice delivered every evening with the turn down service and the insect repellent candles were lit in my bathroom too. Sporadic presents were also left on my bed which were a nice touch along with a leaving gift and a birthday present which made my stay even more memorable! The night before departing, I was most impressed with the offer to choose a pack lunch for the journey back home - so practical and thoughtful as they really have thought of everything to make the stay utterly heavenly and easy at the same time. 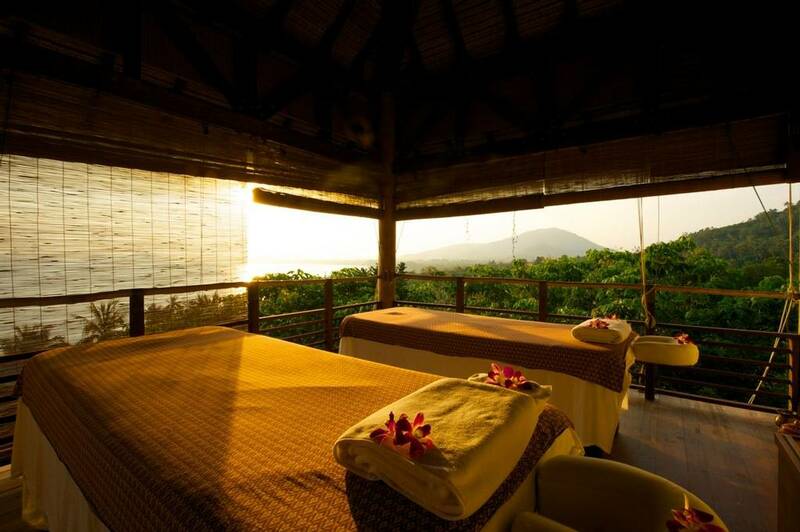 My favourite spa treatment was the Pathaganjaly Massage – it was the highlight of my holiday! I also enjoyed the island tour excursion, which was good value and the right duration. The communal dining table is such a good idea! We sat there many times and swapped details with other guests and formed friendships from all over the world. The food was incredible! Fresh and varied! I loved it how I could choose from the detox menu as well. My palate was reset despite having no intentions of losing weight or eating better, you just come away from Kamalya feeling better about food and wanting to continue that Kamalaya glow/feeling vibe. Absolutely loved my trip and can’t wait to return! My holiday to Kamalaya was fantastic! 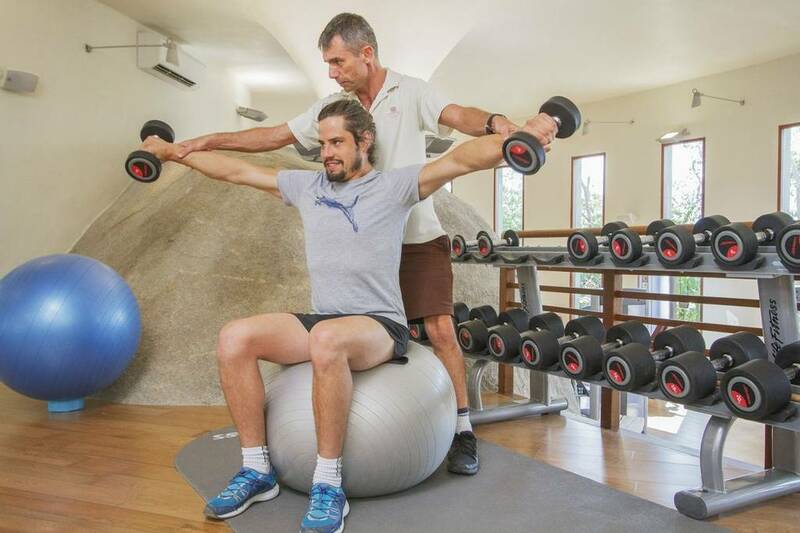 Great location and facilities with very friendly staff. The upgrade to the suite was well worth the money (I’m still missing the outdoor shower!). As a single traveller looking for a healthy break it would be very difficult to fault, having the communal table at dinner was a really treat with a fantastic mix of people. I would fully recommend Kamalaya to any solo travels looking for a fitness / wellbeing break, and I’m sure I’ll visit again. I just wanted to recommend this truly amazing holiday to everyone looking for long term healthy transformation. It was truly brilliant! I had a fantastic time! Kamalaya is so relaxing and peaceful and perfect for what I needed. All the treatments were superb and the food was excellent too! I would definitely visit again so may be in touch next year! I enjoyed my stay at Kamalaya very much. It's a beautiful resort, which has a lot to offer. I'm admittedly a picky customer, not quite diva level but certainly, shall we say, discerning! 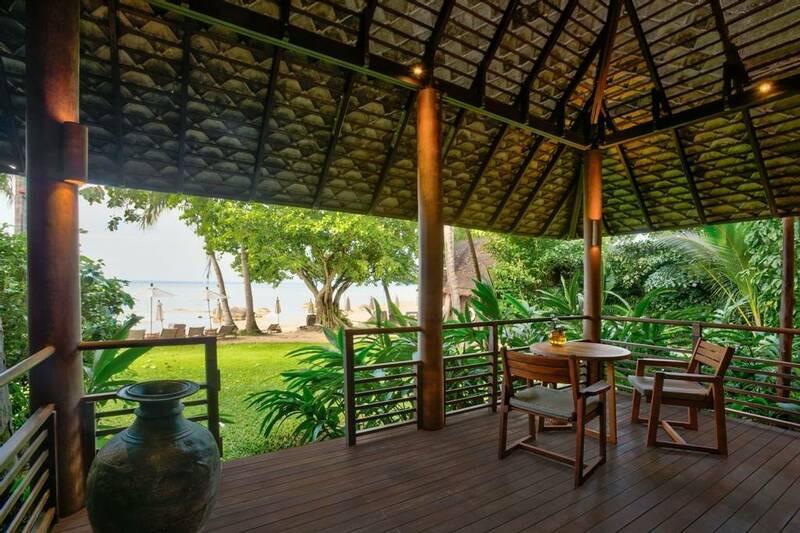 But I have nothing negative to say about Kamalaya! The staff were very courteous and friendly in addition to helpful and professional. The massages and food were outstanding! 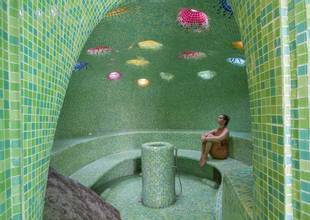 Great balance between peace and relaxation, and a sense of being part of a social community. I can't wait to go back! I felt reinvigorated and fresh coming home. Such a fabulous place! I cannot wait to return. I did a 5 day program spread over 7 days as I never felt rushed. Total bliss! Kamalaya was great, this place really is amazing! I’m now back home smiling and feeling much happier inside. All the treatments were world class, the therapists were so professional and skilled. 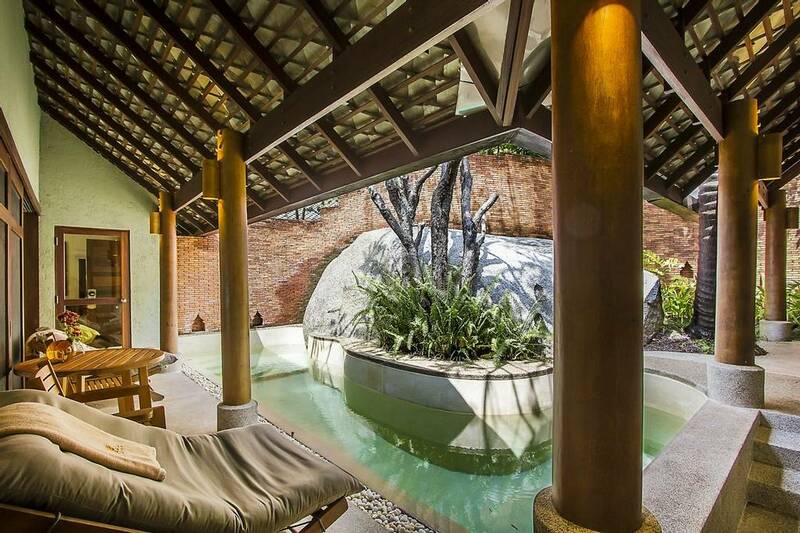 Thailand is famous for the massages, but Kamalaya was a step further! 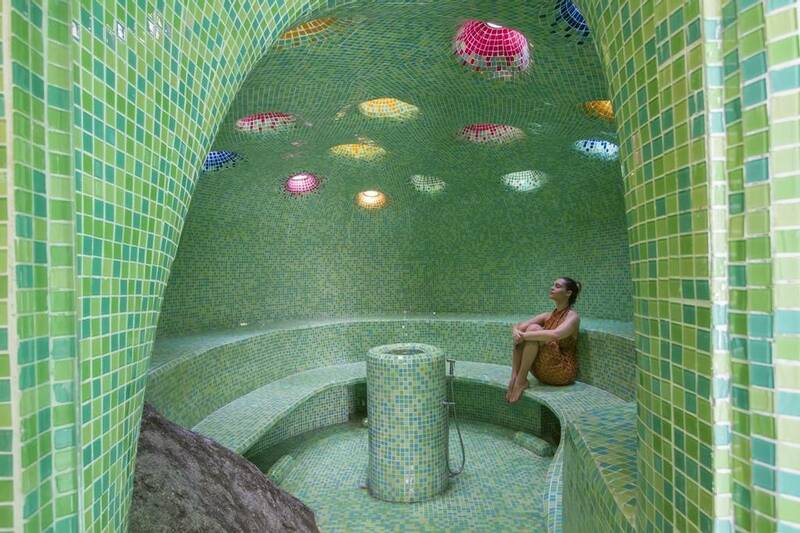 The perfect place to relax, rejuvenate, calm down after busy times or even serious burnt out. The food is amazing too. 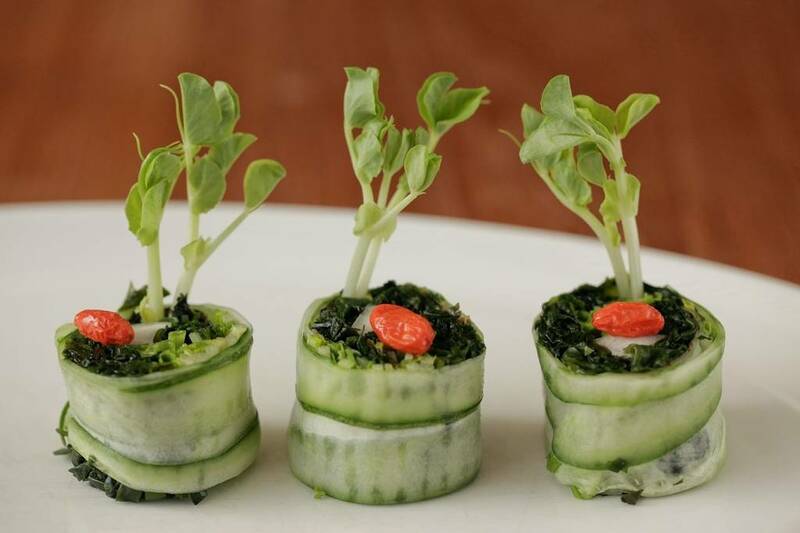 The best detox food I have ever tried. They even have detox desserts. 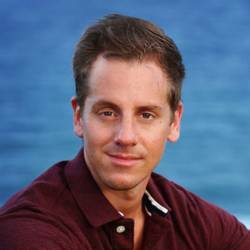 My partner was not on detox, but he was encouraged to eat lean protein with every meal. I’m definitely coming back. Kamalaya was AMAZING!!! It was exactly as I needed it to be, the food was superb, the staff are fantastic, everything about it was super! I’ll be back next year! 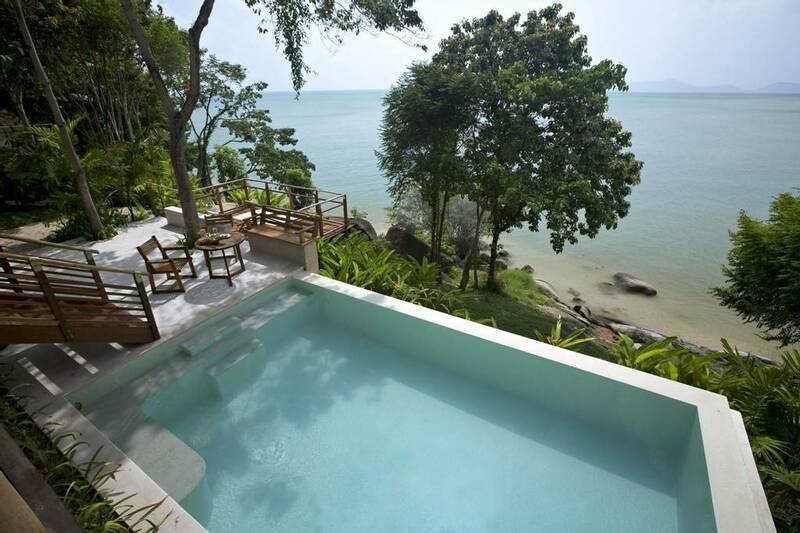 Kamalaya is a wonderful place for solo travellers and couples who want to chill. Great for meditation, yoga, pilates, natural medicine... The atmosphere there is one of calm, there is a spiritual feel about the place that comes from nature and Buddhism and the calmness of the people who work there. The gardens are amazing, the slope allows for running water, waterfalls and pools. 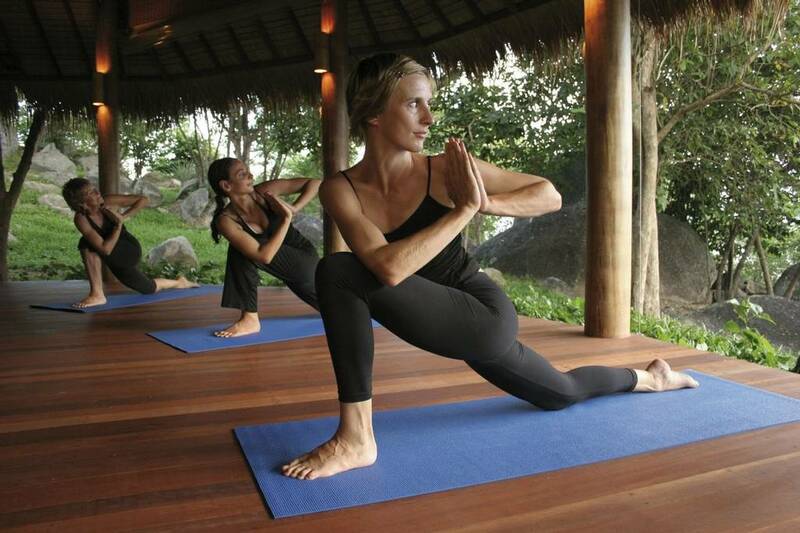 At the heart of Kamalaya is it's Wellness Center. There is a genuine interest in you, body and mind. I'm not sure if everyone gets this or it depends on what program you are on, but I got a medical check shortly after I arrived, was assigned to a 'naturopath' and to a 'mentor', which was a bit like having your own Gandhi to talk to. They both made suggestions to change my program to optimise my time there, and I met with both of them a number of times during my 10 days there. 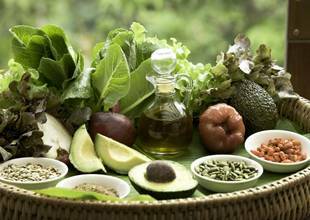 The food was excellent, I am a vegetarian and ate from the detox menu and found the variety and quality plenty to keep me interested. I was in one of the least expensive rooms but found really pleasant. Thank you to you all for making this holiday an amazing experience. I had a wonderful trip. 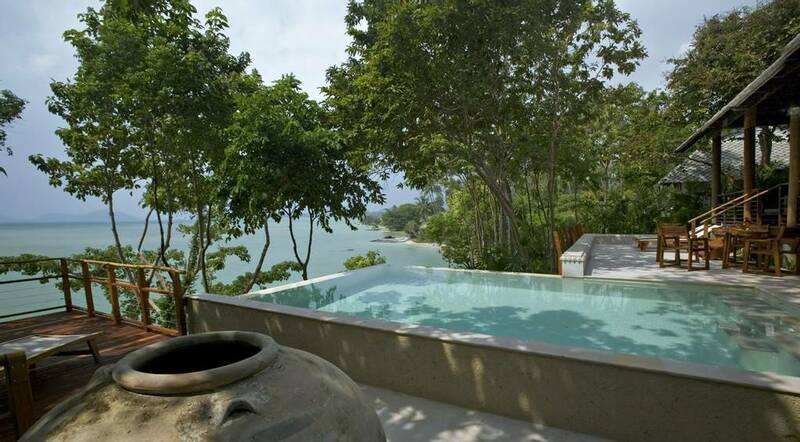 Kamalaya was perfect for me, and for what I was looking for at this time. It is an expensive holiday, especially at Christmas, and in particular in the Suites, but it was worth it. Everything was done in a very low key, unfussed way and the comfort of guests is clearly at the centre of everything. The therapists are all excellent, experienced and very pleasant. The Wellness Sanctuary is extremely well managed and they were very flexible when I wanted to change to the Asian Bliss programme (so much better for me!). There were lots of lovely, unexpected touches, like complimentary classes (yoga, pilates, mediation, pranayama). I was surprised at the extent of them. There were several gifts during the visit including teas beautifully presented in a box, Kamalaya creams and shampoos, and a beautiful book. They didn’t charge for room service which I felt was a lovely touch. This made it feel like an experience instead of a business. I would go back, 100%. Everything ran very smoothly in terms of transfer and flights. I enjoyed the stay at Kamalaya very much. It's a little spot in heaven. All staff were so friendly and helpful, the treatments were great. Even after 21 days I could stay even longer at this place. My room was absolutely big enough with all things a person could need. All day fresh fruit, water and tea. I even got some little presents during my stay, like an assortment of tea and the 10 years Kamalaya book, which is a great way to remember my days in this paradise. I particularly enjoyed to only have one program during my stay, so I had enough time to profit from the general program and could do a lot of sports for myself in the Gym and joined group classes in Yoga, Pranayama, Circuit Training, Pilates.....and I attended some interesting talks as also the Detox cooking class. On top I did book some other appointments in the wellness centre as for example the personal mentoring which I will go on with via skype from home. Food was very good and not too restrictive, even if I was in the ideal weight programme. I lost 3 kg, but even more important is that I became much fitter and this feels really good. It was a perfect holiday. I would recommend it, absolutely. 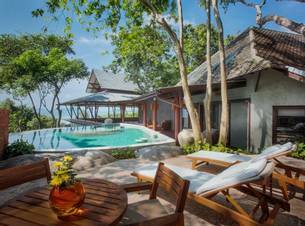 I just spent 7 days at Kamalaya and loved every minute. From the moment I arrived to the moment I left, I was so grateful that I had chosen it as the place to re-charge and 'embrace change' before starting a new job. I didn't expect it to have such a profound impact on me but it really was a little slice of paradise, with a very calm and enriching energy. 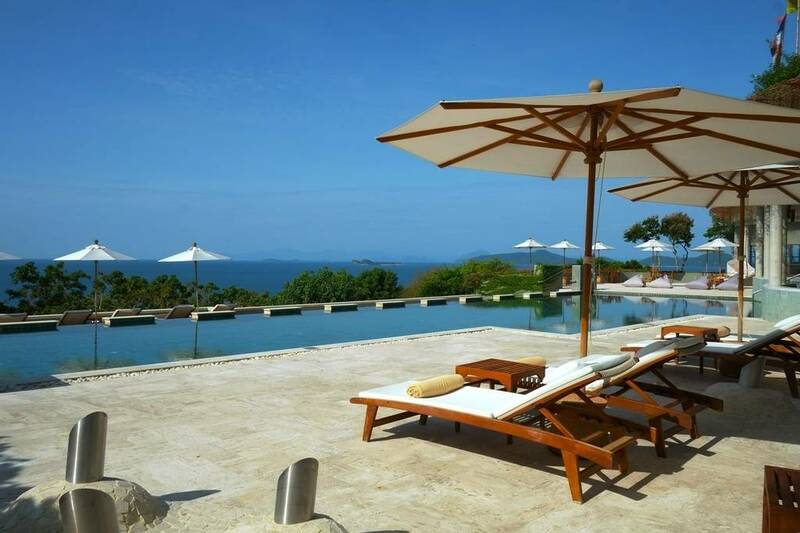 It is the perfect place to come and contemplate your life, to make some changes to your mind and body, to re-charge your batteries, to detox, or simply lie by the pool. There are so many interesting treatments and classes on offer there is always something fascinating and relaxing to do. The international group of therapists were all outstanding - so intuitive, wise and knowledgeable I have come away with so much more awareness of life, my mind and health and have the tools to carry what I learnt with me. The staff were all so kind, friendly and attentive, the facilities wonderful - beautiful pools, delicious food (you are spoilt for choice!) 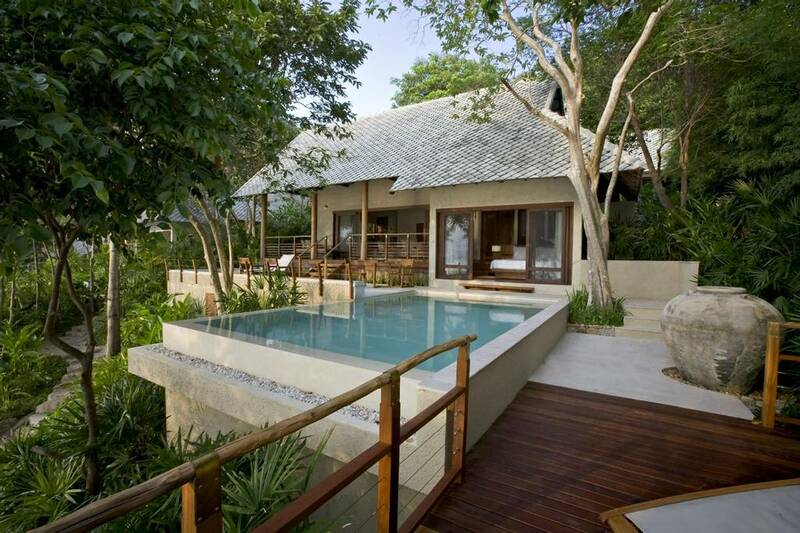 I highly recommend Kamalaya, it is a very special soulful experience and I hope to return again soon. Thank you to all the wonderful staff for making it such a beautiful, life changing experience not just a lovely holiday. The courteous staff will respond to all your needs and are likely to bring you a cool drink or snack when they spot you relaxing at the beach or pool. Whether you visit the award-winning Wellness Centre for detox, healing or pure relaxation, every treatment is divine, performed by excellent therapists and will leave you wanting to sample everything the spa menu has on offer. 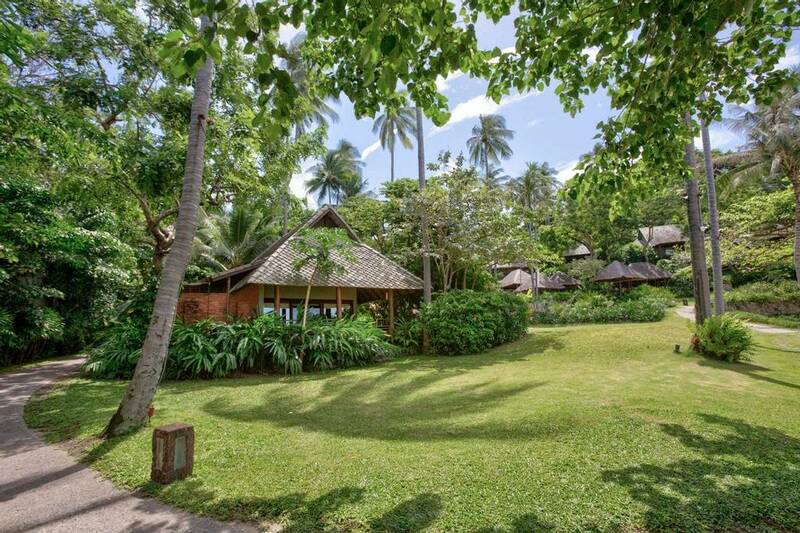 The organically designed buildings blend in with the lush vegetation and facilitate an eco wellness break, that boasts stunning ocean views from almost every position of the retreat. The entire site exudes a tranquil and peaceful harmony; there are various quiet, secluded spots to take an undisturbed rest and clear your head. 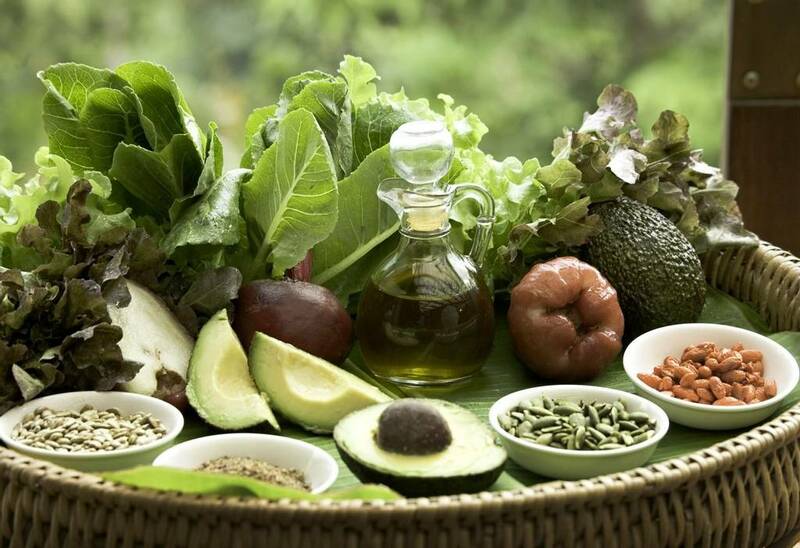 After having experienced the extensive variety of tasty yet detoxifying food Kamalaya offers, you will finally believe that a healthy diet doesn’t have to be restrictive and bland. 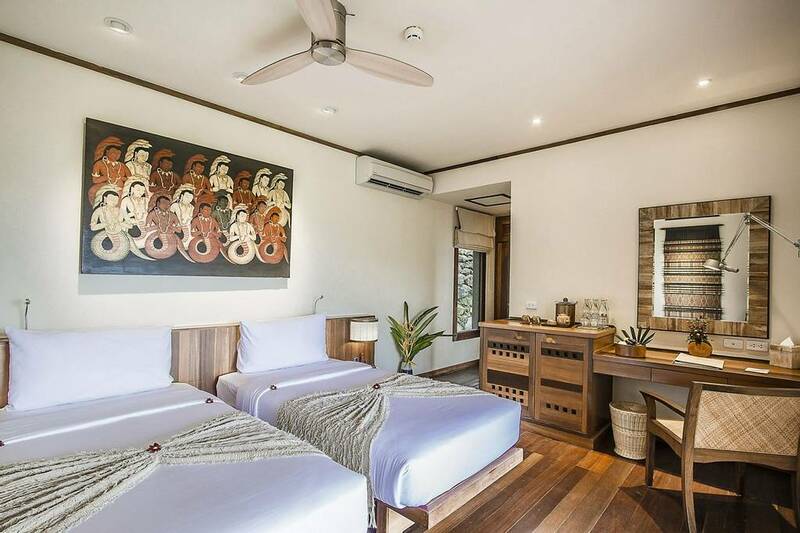 Following the resort's aim of spreading positivity and contentment, the friendly staff will always greet you with a warm smile and make you feel like you are in good hands. 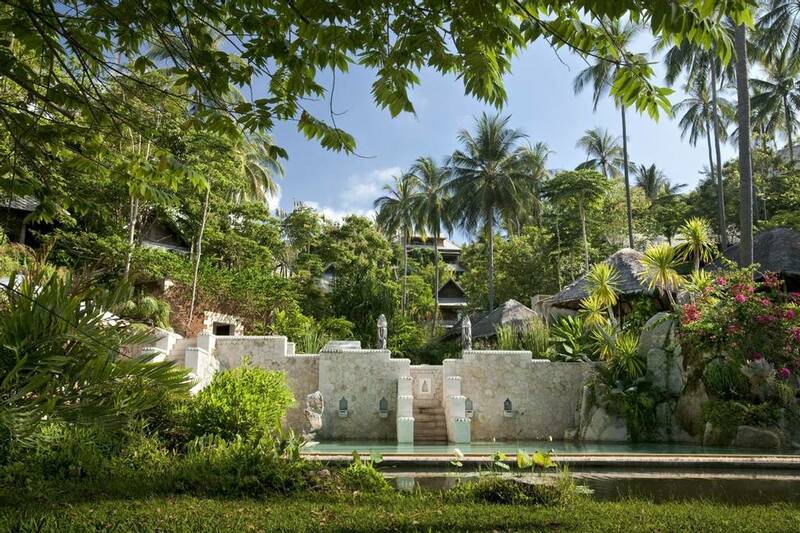 Serene gardens, fish ponds and water flows, Kamalaya encourages a luxurious back-to-nature wellness experience. From cooking classes and health lectures to 1-on-1 inspiring talks, this is not an average holiday destination but a starting point for a life-enriching journey of self-discovery and mindfulness. 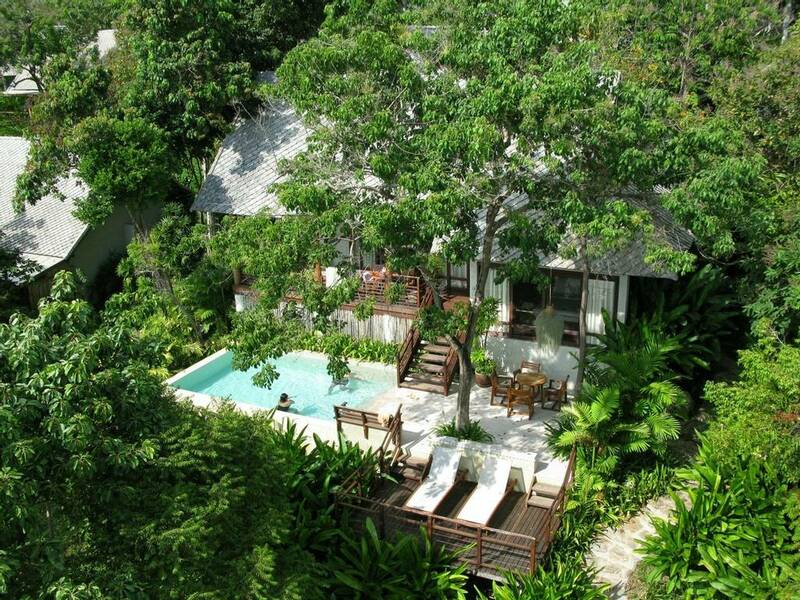 Its location in the lush jungle brings you closer to nature and to some of its inhabitants. Therefore, you are likely to share your room with some of them. But don’t worry: the staff intervene as soon as you report the incident. 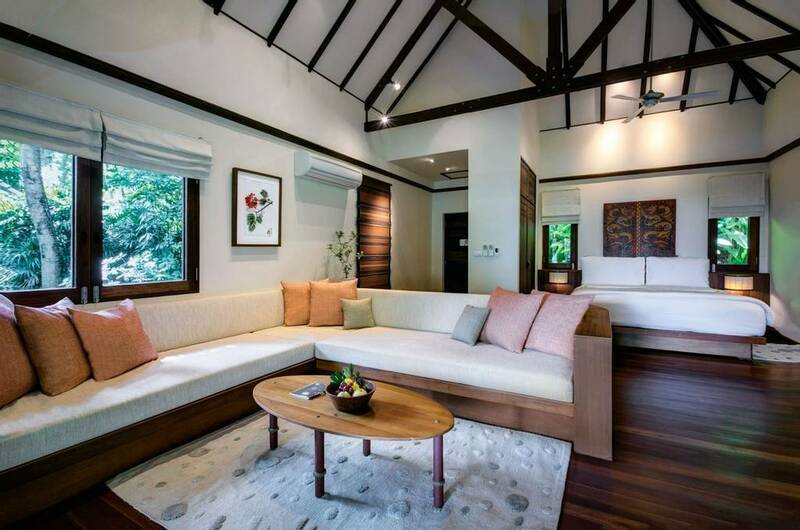 Its communal tables and group activities make it a great destination for solo travellers, however, also expect to come across some people that rather want to concentrate on finding inner peace. 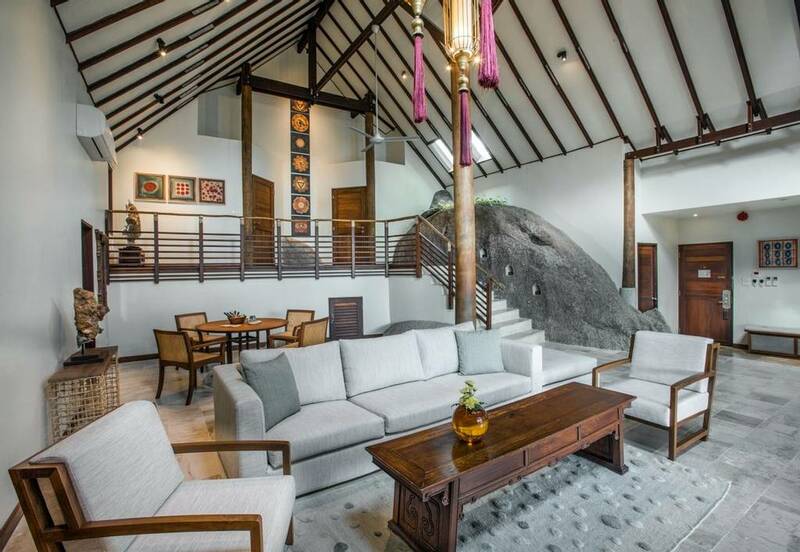 Displaying the retreats spiritual and holistic approach to wellness, the resort puts a limit on wi-fi and provides rooms that are comfortable but don’t include any needless luxury. The sea at the beautiful bay isn’t deep and therefore not suited for long swims but rather for tranquil walks and dips in the shallow water to cool down. 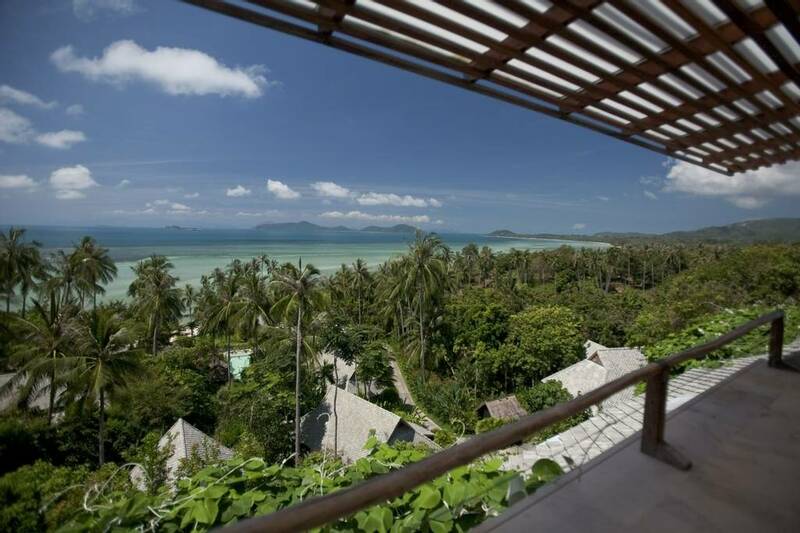 Koh Samui is popular for its vivid nightlife, but you won’t find this at Kamalaya. 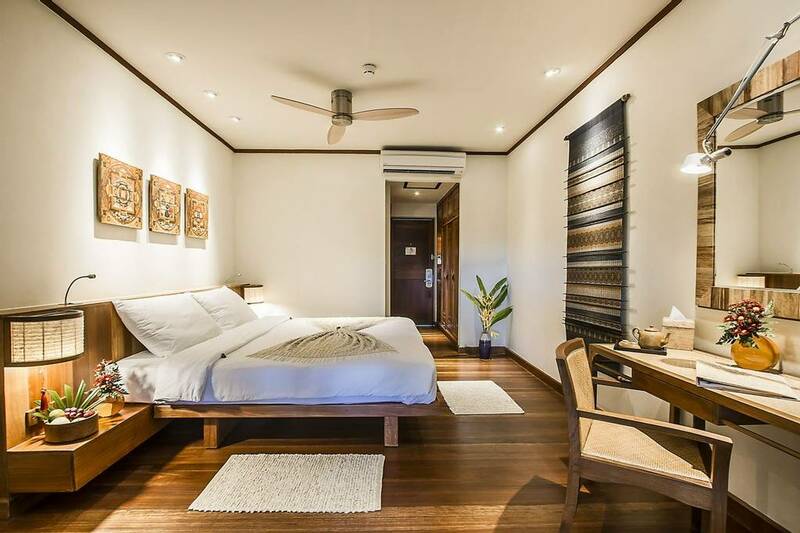 Majority of guests are silence-seeking middle-agers that are more than happy to swap boisterous nights out for tranquil meditation and early nights.